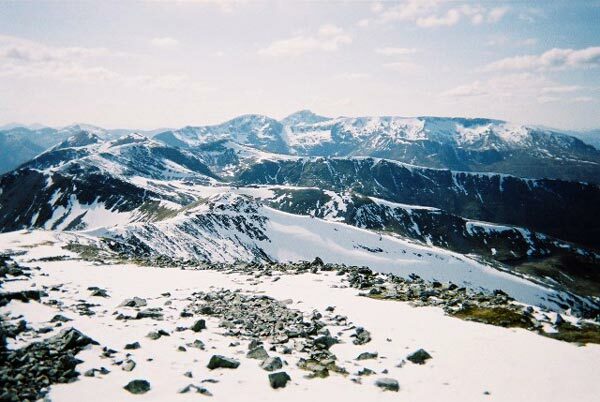 Stob Choire Claurigh is located at the E end of the Grey Corries Ridge within a cluster of peaks. 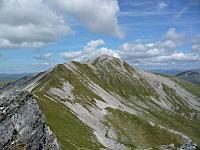 Its slopes are boulder clad and there are many crags, particularly E and N of the summit. 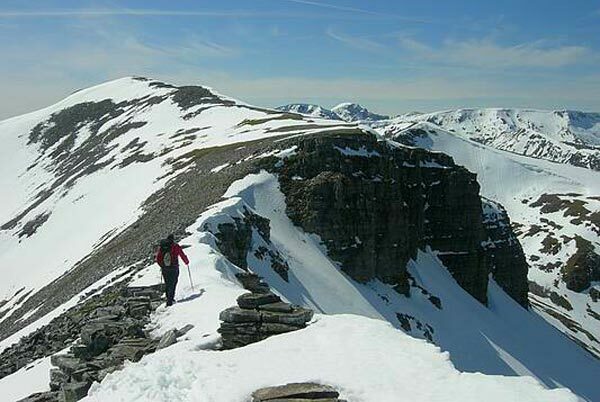 A short ridge WSW connects to Stob a Choire Leith (1105m) and a short N ridge to Stob Coire Ceannain (1123m). 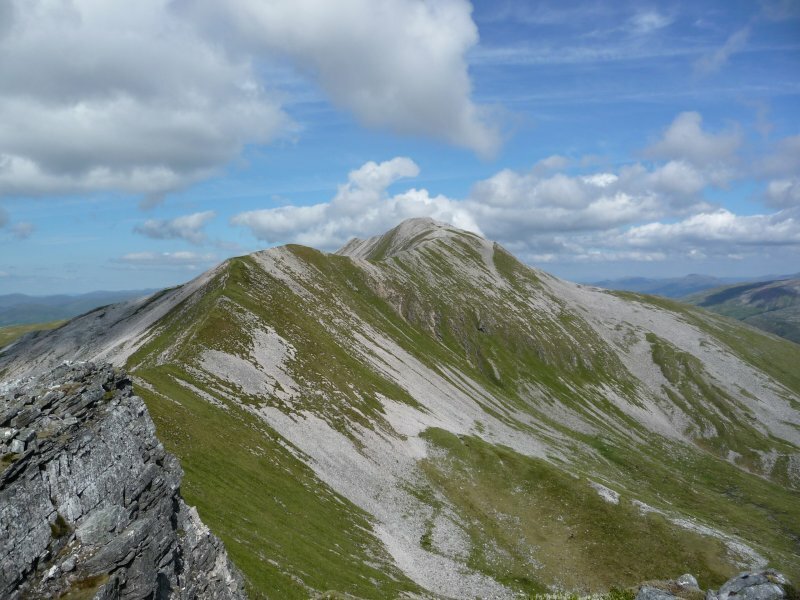 A third ridge curves SSE to connect to Stob Ban (977m). Ascent is possible via any of these three ridges, and once below the summit crags there are easy slopes NW to Coire Choimhlidh and N to Ruigh na Gualainn. Stob Choire Claurigh taken from Caisteal on the Grey Corries Ridge 23rd July 2010. On the ridge between Stob Choire Claurigh and Stob Choire an Laoigh during our traverse of the four Munros on the Grey Corries April 29th 2006. 24 KM of sun and snow what a day! Best this year! Could have been in the Alps! 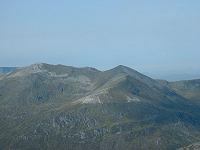 Stob Choire Claurigh on the left and Stob Coire na Ceannain seen from the western slopes of Stob a`Choire Mheadhoin. The summary information of one or more ascent routes that include Stob Choire Claurigh. 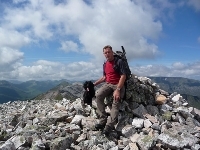 1 1580 m 23.84 km 7.5 hrs Stob Choire Claurigh, Stob Coire an Laoigh and Sgurr Choinnich Mor A fairly long day with some exposure on the ridges. The Grey Corries are a classic ridge walk on rocky terrain, with excellent views of the Aonachs, with Carn mor Dearg and Ben Nevis behind, plus the Easains and the Mamores. 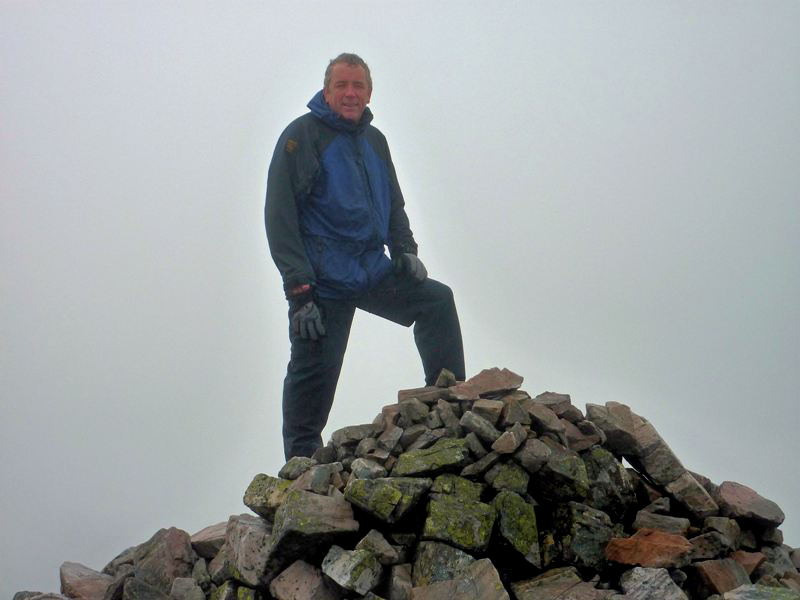 Scott at summit of Stob Choire Claurigh after a very wet start to the day 11th Sept 2010. 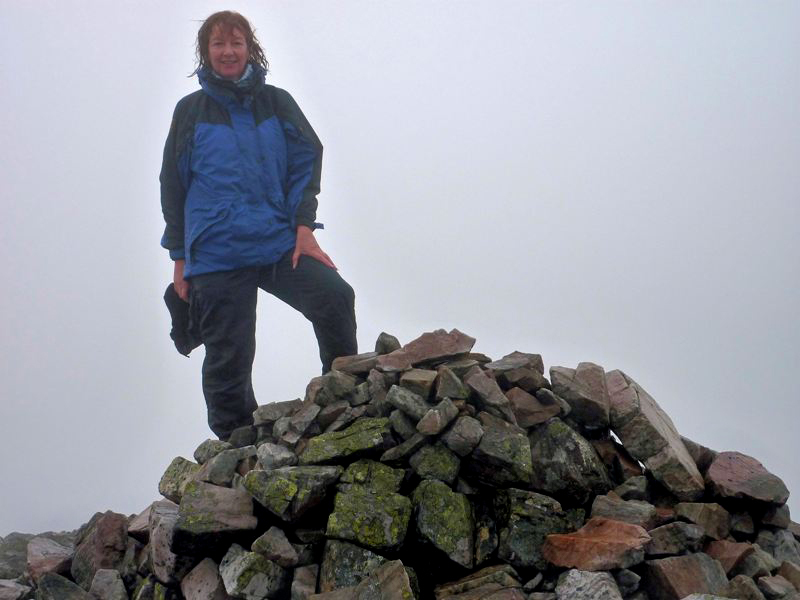 Post a few words about Stob Choire Claurigh or read what others have had to say. Ridge up to summit from the Col between Stob ban and Stob Choire Claurig is really nice and easy.